Aptus Court Reporting continues its rapid West Coast expansion with a new addition to the San Diego business development team. Aptus Court Reporting, the West Coast’s premier deposition and court reporting service, announced today that they are expanding their presence in Southern California with the addition of Julie Long, Business Development Executive. Long is a seasoned professional with three years’ experience in the legal industry and 14 years in software sales. 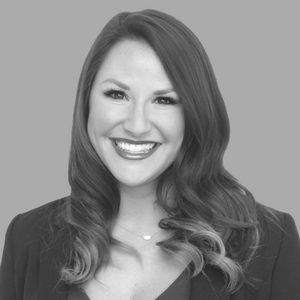 She joins the San Diego team and will focus on creating new business relationships while ensuring existing clients continue to receive unparalleled service. “I am thrilled to join the Aptus team. The core values of the company -- take care of your people who then take care of clients -- creates a genuine culture of exceeding expectations every single time. Adding these core values with Aptus’ state-of-the-art technology and nationwide infrastructure, and it’s impossible to find a better team to work with,” says Long. Since launching in San Diego in 2011, Aptus has expanded its territory throughout the West Coast of the US, with local offices in San Francisco, Los Angeles, Sacramento, Irvine, Riverside, Fresno and Seattle. The firm provides a wide range of services globally with clients on five continents. Aptus Court Reporting is a full-service court reporting firm and a leading provider of court reporting services and litigation technology. They provide a one-stop solution for deposition and trial needs with services including court reporting, transcription, videography, video streaming, world-wide conference rooms, and more. The company’s mission is “Connecting Testimony & Technology.” For more information about Aptus Court Reporting, please visit http://www.aptuscr.com.